Ok. I’m usually not posting such stupid stuff. But I couldn’t hold myself this time. 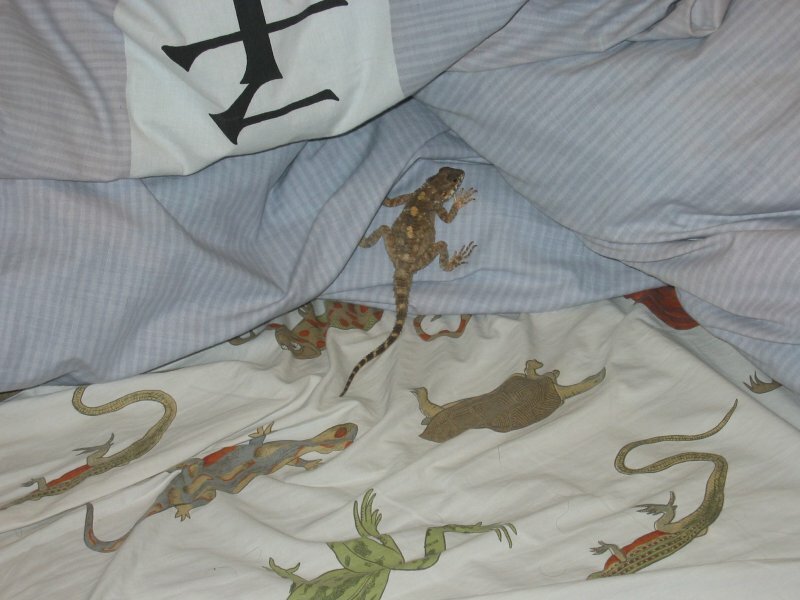 I came into my bed room where I had this bed-linen with pictures of lizards, turtles, chameleons and other creatures. Then I saw something quickly moving from the sheet to the blanket. Looks like it came to life from the pictures. Amazing isn’t it? Which detergent do you use ??? Did you try it with linens printed with paper money ??? You should have bought a blanket with bills printed on it.